Spring is finally here! The snow has stopped, the flowers are blooming, and it’s time for everyone’s favorite activity – spring cleaning. And while it feels great to get organized and declutter your home, how can you make some money while doing it? Can you get cash for cleaning out your closet? Answer? Yes! 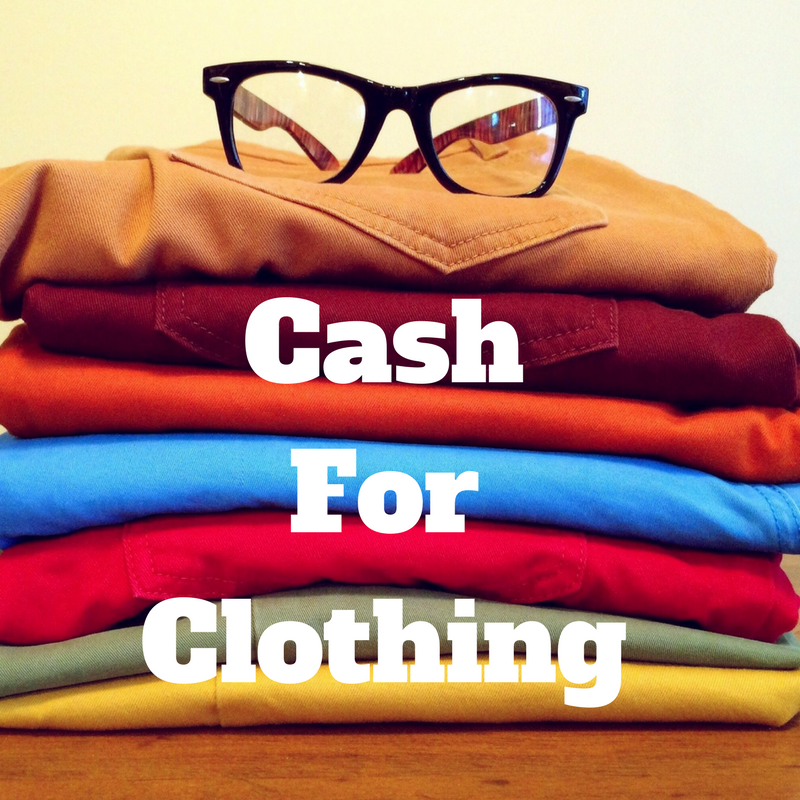 You can get cash for cleaning out your closet. Those items in your closet that you no longer want still have value. Now to find someone who will pay you for it. If you’re lucky, you live in an area that has a consignment shop. These are stores that resell new or gently-used clothing. They usually work in one of two ways. Some stores will offer you an up-front payment for your items. An employee will go through your items and decide which ones they would like to purchase and make you an offer for those items. Don’t expect to be making what the store sells the item for – after all, they have to cover their expenses and turn a profit. Some stores will take things on consignment. They take your item and put it up for sale at a price you and the store agree upon. If it sells, you and the store split the profits. This is likely to get you more money than the up-front payment, but you also have to wait for your money. Some stores will offer you either cash or store credit. Often, store credit is a bit higher, and if you’re looking to refresh your wardrobe, this might be worthwhile. Consignment shops aren’t going to take everything. Many of them are looking for higher end items, as that’s what sells. But take a look around your area and see what’s out there. ThredUp is a shopping site that sells new and gently-used clothing. If you want to sell items on their site, you order a “Clean-Out Bag” and fill it with clothes to ship to them for free. They will go through your bag and decide what they can sell. ThredUp sells in two ways, much like the consignment shops. For some items, you will get an instant payout. For others, the item will be listed for sale and you will get paid if it sells. They set the starting price, but you can choose to lower it to increase your chances of a sale. I have used ThredUp a number of times, and while it is super easy, I’m sure I’m not getting the most for my money. They base their payout percentage on the listing price, and since most of the items I have sent them have listed for under $30, I’ve never gotten better than 18%. That said, it’s super easy. ThredUp also my not accept every item you send them. You can elect to have items returned to you for a $10 fee, but you have to make that choice prior to them sorting your bag. They donate or recycle the items they can’t sell, so it’s not as if they go to waste. Though I’ve not made a fortune from ThredUp, I’ve been pretty happy with my choice to ship them bags of stuff. It is a fast and easy way to get things out of my closet, it saves me a trip to Goodwill, and I get some money back in return. Poshmark is an online consignment shop where you control your sales. They provide the platform, you provide the photos and store your items until they sell. With Poshmark, you upload photos and a description of your item. They have a lot of categories and options for you to select, making it easy for shoppers to find the item. They suggest a listing price, but you get to choose how much you want to sell your item for. You get a pretty good percentage of the sale, much better than you do through ThredUp. When your item sells, Poshmark takes care of the payment and sends you a shipping label. You package the item, send it off, and once it’s received, you get paid. What I like about Poshmark is that you have full control. You can list your item and immediately see what your take will be if it sells. You can choose to drop your price if something isn’t selling. I’ve used it to sell some gently used athletic wear, mostly triathlon gear that just didn’t work for me. The downside to Poshmark is that you have to hang on to the stuff until it sells. So your closet isn’t getting as cleaned out as you may like. So donating your items to charity isn’t going to bring instant cash to your pockets. If you itemize your deductions on your tax return, you might get a bit of money back, and that might be worth the added work on your taxes. But more importantly, it gets the clutter out of your house. I know that when I have too much stuff, I start to forget what I have and wind up spending money on something it turns out I don’t need in the first place. So whatever method you use, get to cleaning and cleaning out! Hello, I want to subscribe for this weblog to take hottest updates, therefore where can i do it please assist.